There is much to be said about roulette systems, mainly because there are so many out there. Everyone, or so it seems, has a different opinion as to how roulette should be played in order to win. Well, I'd like to say that I have a 'system' for you, but that is not the case. In my opinion, there isn't a roulette system that can guarantee you big time winnings. I would recommend looking at the strategy page and following that advice. With the game of roulette, so much is left to chance that most of it is really left out of your hands. Take the house edge for example. If you're playing a double-zero wheel, your chances are quite bad. Therefore, trying a system on that doesn't have much point. On the other hand, single-zero roulette does give you better odds, but exercising a system on it won't be of much help. I have played and analyzed the game to a large extent. Having read some of the systems, I am surprised that some individuals actually try them. I don't mean to criticize others for their work, but it should have some good grounds and most of them don't. So, let's clear up some misbelieves people may have about the game. Firstly, there is no way of predicting the exact spot where a ball will land. Any kind of roulette system that tries to use that isn't worth your time. The only way this can be done, and even then it's not completely accurate, is with the help of a computer. Taking everything into account, the speed of the ball, the angle of the wheel, the height of the pockets and their size, plus maybe 10 other factors, the computer might be able to calculate the spot. And that wouldn't be done without any effort; there is so much mathematical complexity behind this, it would certainly be impossible for the average person to accomplish. You might, however, predict the area where the ball might land. That is, for example, one of the dozens. 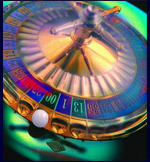 Although it might sound like an easy roulette system, it is far more complicated than it lets on. Again, all the various components must be taken into consideration and a calculation must be performed. There are some individuals out there, I don't doubt, that might in fact be able to do that, but again, it's not for the average person to undertake. Most of the roulette systems sound like genius ideas, but when really thought through, become more and more impossible. 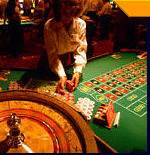 I am talking about individuals that play roulette for a pure enjoyment of the game. In order to be successful at any of the suggested systems, you'd have to study the game for a long period of time and certainly know your math skills.